In today’s article, I’ll put the Life Ionizer MXL-15 up against the Tyent UCE-11 to see which one comes out the victor. I’ll tell you right now that these are two of the best home water ionizers money can buy, and in the end, it’ll be up to you to decide which ionizer gives you the most bang for your buck. In my previous article, I reviewed the MXL-15 and was amazed by some of the features Life offers in their machine. 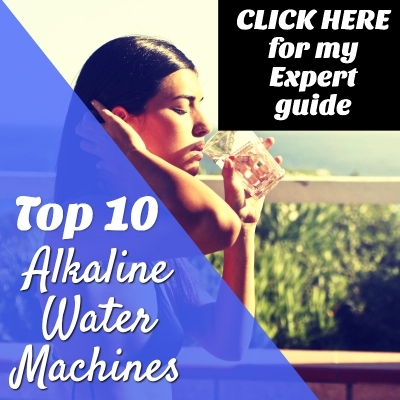 It’s certainly one of the most powerful alkaline water machines in the world. Some months ago, I ranked the Tyent UCE-11 #1 on my top 10 list of best water ionizers in 2018. Let’s see if it deserves the crown once again in 2019 or has Life produced a superior unit? 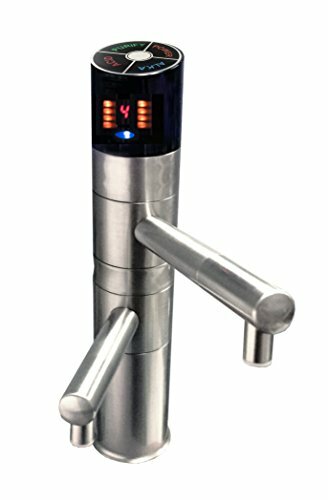 Where are TyentUSA Water Ionizers made? Where are Life Ionizers made? Tyent produces and assembles their ionizers in an ISO-approved factory in Korea. ISO (International Organization for Standardization) is an internationally recognized standard in production quality and quality assurance. In fact, I once I had to take an ISO course way back when during my days working as a construction manager in the curtainwall industry. Tyent stresses that people should not trust brands that produce ionizers in China and Taiwan. Tyent also guarantees that each of its units is tested by hand before being shipped from Korea to the United States. Overall, I appreciate the transparency on their website. They’ve been in business for over 15 years. They also provide a page dedicated to their certifications including certs from the GMP, BBB, and KFDA. 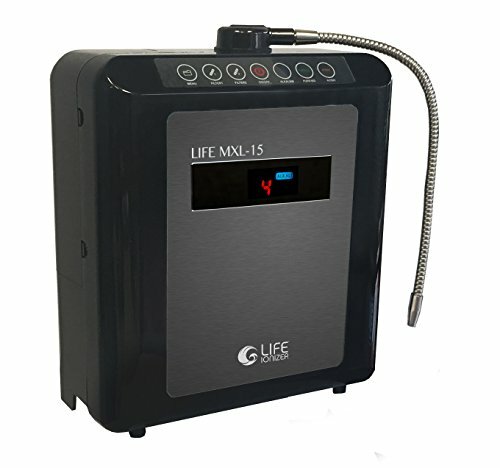 Similar to Tyent, Life Ionizers designs its alkaline water machines in the USA and manufactures them in South Korea. According to their website, they import several components from Japan and USA. Life writes the reason consumers should only trust ionizers manufactured in Korea or Japan is that both countries have certification programs that ensure the ionizers are medical grade. Life has been in business for 21 years, slightly longer than Tyent. Life lists several quality certifications including ISO, CE (European union certification), WQA (Water Quality Association), KFDA (Korean Food and Drug Administration certifies ionizers as medical devices), and People Against Cancer (certifies treatment systems for cancer treatment). Overall, I think both Tyent and Life are producing superior quality ionizers in top-notch facilities. I like to see the long list of certifications both companies offer with the medical-grade tag from the KFDA. That tells me I’m buying a top of the line product from either company. As you can see, these two machines tie in most categories, and in my opinion, it’s no coincidence. These two companies are fighting head to head for that top spot in the water ionizer industry. The MXL-15 does have more platinum-coated titanium plates than the UCE-11, yet the UCE-11 produces water with a slightly higher negative ORP, which is the measure of antioxidant potential. The one area that the MXL-15 does outshine the Tyent UCE-11 is flow rate. Because of the MXL-15’s larger ionization chamber and additional plates, it has a flow rate of 6 liters per minute while the Tyent UCE-11 can produce roughly 4 liters every 2 minutes. In my opinion, a faster flow rate doesn’t necessarily make the MXL-15 a superior machine, but if you need to fill a large water jug in a hurry, the MXL-15 is the winner. Both the MXL-15 and UCE-11 come in under counter versions with attractive digital displays above your sink. Personally, I like the cell-phone inspired display of the Tyent more. There is a growing demand for added molecular hydrogen in alkaline water for its additional health benefits. Both the MXL-15 and Tyent UCE-11 boost molecular hydrogen, however, the MXL-15 does it automatically while the UCE-11 gives you a “Hydrogen Boost” option. It’s up to whether you want the option to boost the hydrogen or if it’s not important to you. Currently, the MXL-15 is being sold for about $1000 more than the UCE-11. Do you think it’s worth the extra money? Now, let’s take a look at a visual representation of each machine to give you an idea of what each would like in your kitchen. There’s no doubt in my mind that both companies produce a superior product with the certifications to back up the quality of their ionizers. I like that they both manufacture their ionizers in Korea, where they’re able to get a medical-grade certification for their water machines. 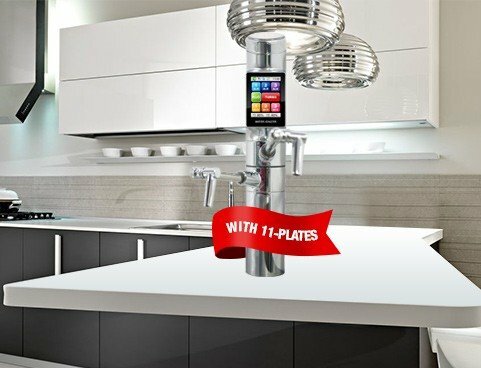 When purchasing a water ionizer, it’s critical to be sure you’re buying legit platinum-coated titanium plates that will last you a lifetime. Both companies back up their water ionizers with a lifetime warranty, and they both have excellent customer service track records. In the battle of the Tyent UCE-11 ionizer vs Life Ionizers MXL-15, I have to say overall it’s a draw. However, I do think the MXL-15 is the more powerful machine. It’s the most powerful home water ionizer I’ve seen on the market today. I really like the digital display offered on the Tyent UCE-11, and I think Life will eventually update theirs to match Tyent’s. The question you must ask yourself: Is the MXL-15 worth the extra $1000? Click here to read my full review for the Tyent UCE-11. Click here to read my complete review for the MXL-15. Do you own one of these machines? What made you decide on one over the other?